With handsome evergreen foliage, fragrant yellow flowers, and purple-blue berries, Mahonias are useful in many situations. 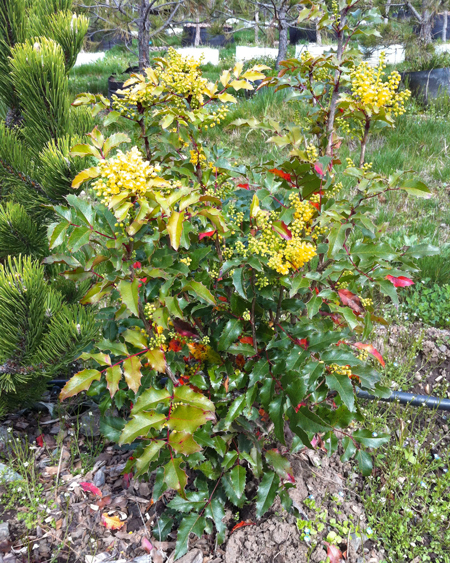 This, the state flower of Oregon, is an open, suckering shrub from three to five feet in height. Its spiny, holly-like leaves have up to nine leathery, bright green leaflets, often turning red-purple in winter. Use it in a woodland, massed for an informal screen, a barrier planting, or with other native plants. Berries are eaten by robins, sparrows, towhees and foxes. Painted Lady butterflies enjoy the nectar. Size can be maintained or plants rejuvenated by cutting back after flowering, either to a strong side-branch, or by taking the oldest stems clear out. 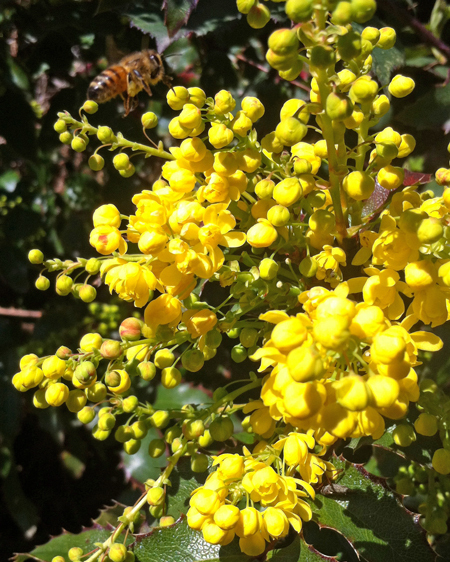 Oregon Grape is most attractive in groupings, forms a good barrier hedge. It is excellent in a woodland setting, among evergreens, or planted with other native shrubs. 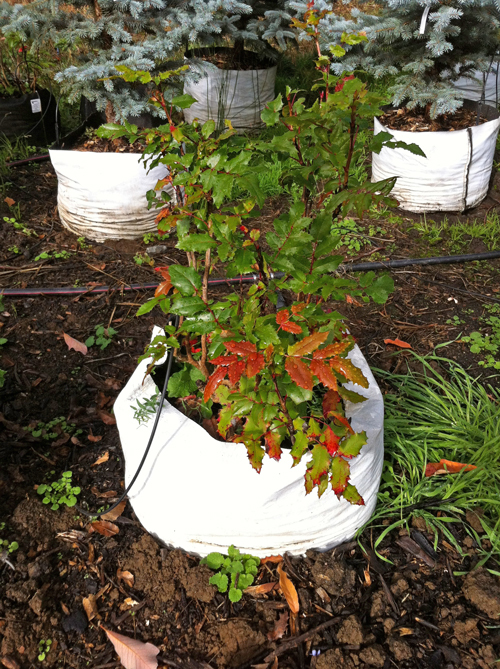 While it is hardy and adaptable, it does best in light shade and moist soil. 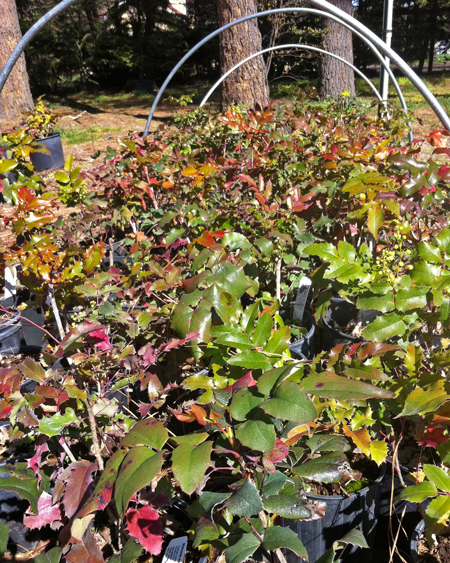 Categories: All Plants, Broadleaf Evergreens, Native Plants, Plants for pollinators, Restoration Stock, More..